Mother’s Day is coming up soon and we know you don’t want to honor your mother (or other important mother figures) in your life with a lame offering — like another appliance, membership to the gym, or cheap perfume. 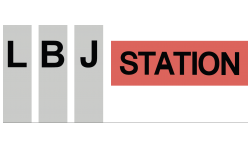 So today, the LBJ Station Blog has rounded up a list of ideas to jumpstart your imagination for things she would love to receive. Flowers are always a great gift idea, especially if they come with a card that you can write a thoughtful note on. Keep in mind that if you’re not in the same state as your mother, you can always surprise her with coming home to a beautiful bouquet of bright vibrant flowers from 1800-Flowers. If she’s not into flowers, try one of these edible arrangements. We like these unique cards (just be sure to include a handwritten note or separate letter to expand on the things you love and appreciate about your mom. Include specifics about what she taught you, favorite memories, and things you learned from her. This card is a perfect way to share your love. Be sure to pick out your favorite childhood photo with your mom to put inside the card. To make this card you’ll need cardstock, a pencil, a craft knife, an eraser, your photo, a calligraphy pen or marker, and an envelope. Bamboo Bathtub Caddy: This bathtub caddy will give your mom a reason to relax this month. Show her how hard she works by letting her slow down. This caddy has extendable arms to fit all sizes of tubs, a spot for a wine glass and a slot for a book. Most importantly, simply let your Mom know how much she means to you and that you appreciate all she’s done for you. We hope everyone in our apartment community enjoys Mother’s Day and the rest of May here in Dallas, TX! Thanks for reading today’s blog post.